They may consider up to 4 secondary time-frames in their analyses and score of space, trend, quality of bar, quality of important locations, big round numbers and quality of pullbacks. These bots can print a special csv log file for statistic analyses of each observed criteria. 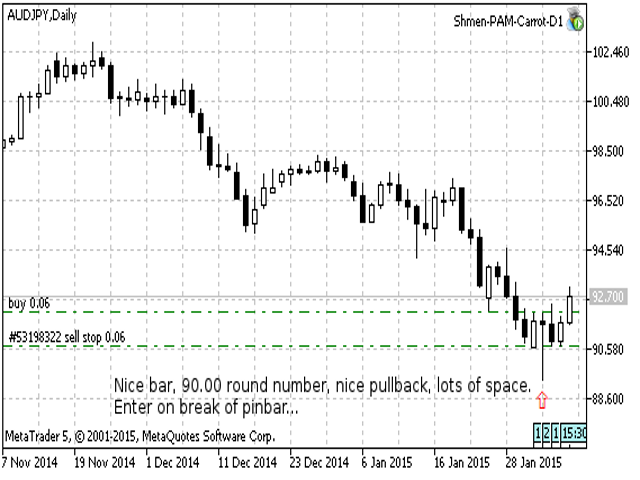 The bots are based on many of the trading principals of the James16 chart thread. *Neither I, nor my EA are affiliated in any way to the Jame16 group. Non scalper. Uses only completed bars in its calculations. 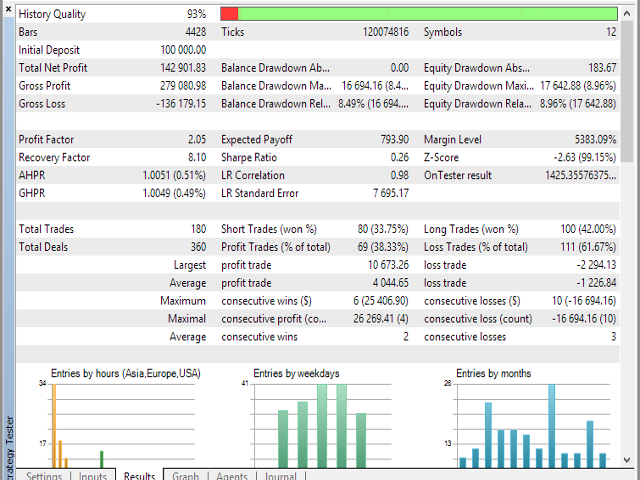 This PAM bot has been trained to focus on entries on the D1 time frame chart likely to give a bigger move. W1 is also examined and included in the considerations with a lot of weight on trend. 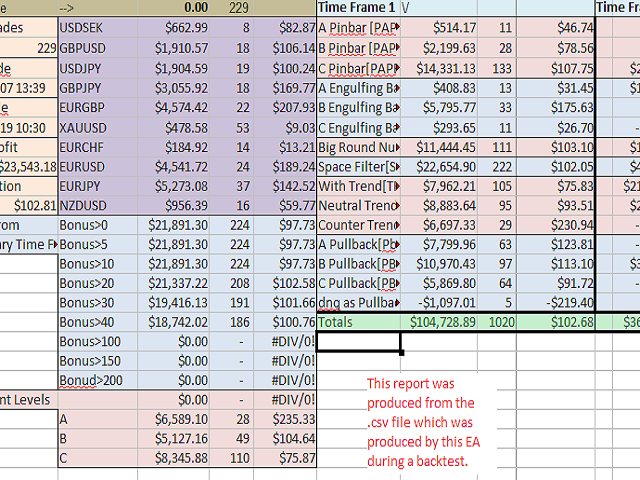 This EA uses an advanced trailing stop which includes big round numbers and recent bar lows in it's calculations. Pre-optimized for wide range of markets. Ready to go. StartDate—Date to begin trading. Will only pre-load bars in fast mode up till this point. 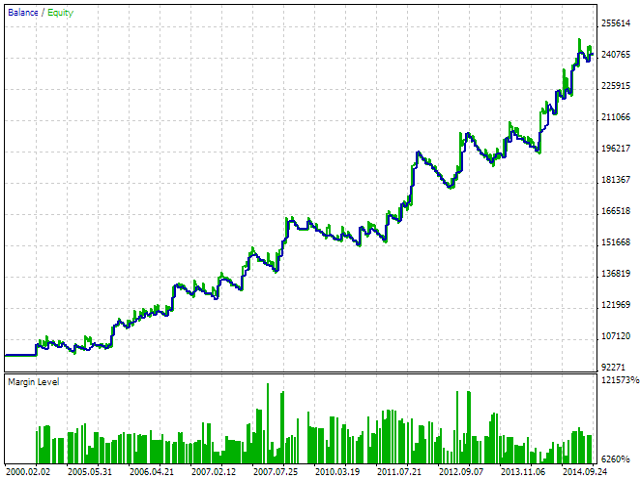 This is required in tester mode as we need 250 weekly bars to run properly and MT5 will not load that many on start. You should set your "custom period" to be at least 250 weeks before the actual StartDate. Lots—Percent of equity to risk on each trade. EXPOSURECHECK—If true will not open correlated trades. CheckMargin—If false it will bypass the free margin check. Turn it off to save CPU during tests. Thresh—How high the potential trade must score to trigger an entry. SYMBOLS—The total number of different symbols to be included in the strategy. SYMBOL1...SYMBOL30—Enter each symbol to be included in the strategy. riskadj1...riskadj30—Enter each risk multiplier for each symbol in case you want to risk more or less than the specified Lots for some symbols. This is a multiplier so 1 is normal risk. 0.5 is half risk. 2 is 2x risk. Logs—Turns the csv logs on or off. They will be created here: "...\Users\...\AppData\Roaming\MetaQuotes\Terminal\Common\Files"
ALERTS—If true pops an alert on each new order placed. - FREQUENCY - hard coded and removed from inputs. - UseMaxSpreadFilter - hard coded and removed from inputs. - UseHiLow - hard coded and removed from inputs. - Stop - hard coded and removed from inputs. - TakeProfit - hard coded and removed from inputs. - PrintScores - hard coded and removed from inputs. - Verbal - hard coded and removed from inputs. -Added consideration for the "extremeness" of the pullbacks. -fixed move SL with no changes error. -fixed lotsize calculation bug when UseHiLow=true. -UseMaxSpreadFilter- if average spread of symbol is larger than MaxAvgSpread in ATR then it will not trade that symbol until the spread gets smaller. -UseHiLow- ability to place stop at high or low of the price action bar. -Stop- stoploss expressed in ATR. Not used if UseHiLow=true. -TakeProfit- tp expressed in ATR. -LogOrders- will log a csv file with all the criteria and scores and P/L of each order. -Verbal- prints many various details in the journal. -ability to detect first trouble area and then move stop at this point. -added MACD divregence to the price action criteria. -added Moving average as support and resistance to the price action criteria.